This is a meticulously maintained property located in the quaint northern lakeside community of Sabbath Day Point. The home features 3 bedrooms, 2 full baths, open floor plan with kitchen/living/dining room, 1st floor laundry, a full walk-out basement, and a new 4-season sunroom just off the kitchen. There's a large, private yard w/ storage shed and extensive perennial landscaping. 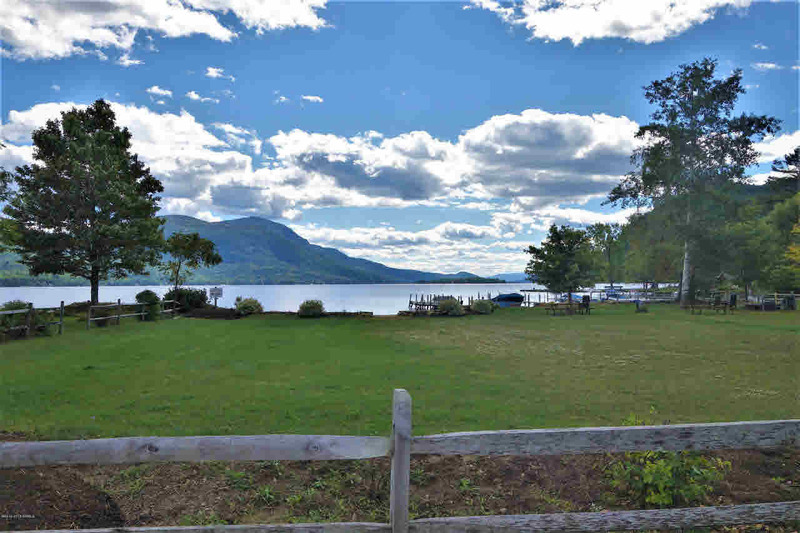 Enjoy the sounds of Lake George from the covered front porch. This home is low-maintenance with a new roof, new vinyl siding, & trex on all exterior decking. A two-minute stroll leads you to the association's private 200' beach area. This property has deeded access to the beach for swimming & sunbathing, a 20' boat slip, & lovely picnic area enjoying incredible southern exposure w/ panoramic views.